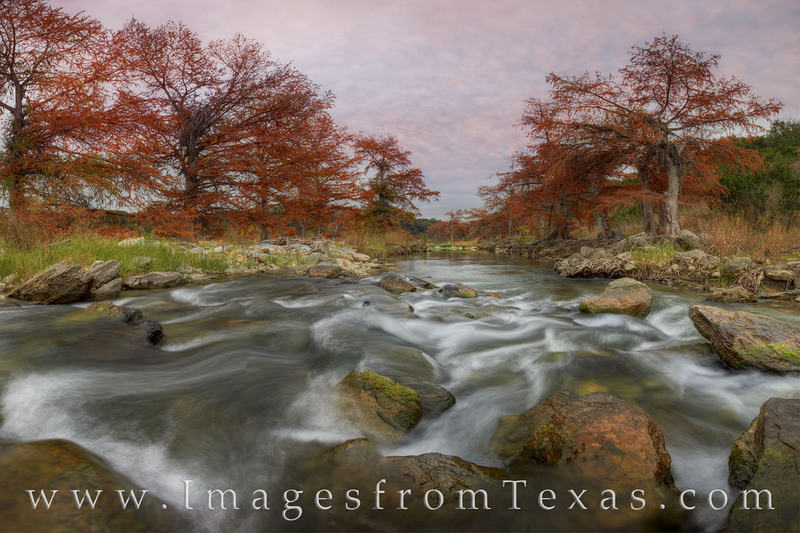 This image taken while standing in the middle of the Pedernales River is actually six vertical photographs stitched together in order to capture the full range of this scene. From quick flowing cool, clean water to the Autumn red colors of the Texas cypress to the pink hues of the morning clouds, this image seems to capture the essence (and what lingers in my mind) of this particular November morning - cold, colorful, flowing, beauty. Photo © copyright by Rob Greebon.